During a press conference tonight in Tokyo, Sony detailed what it will reward PlayStation Network users when the service is turned back on next week after being shut down due to an illegal intrusion. Sony announced its « Welcome Back » program worldwide, giving all existing PlayStation Network users 30 days of PlayStation Plus for free. Current PlayStation Plus members will receive 30 days of additional service at no cost. Sony will also provide « selected PlayStation entertainment content » for free to download. Details for each region will be announced at a later date. Additionally, Music Unlimited subscribers (in countries where the service is available) will receive 30 days free service. 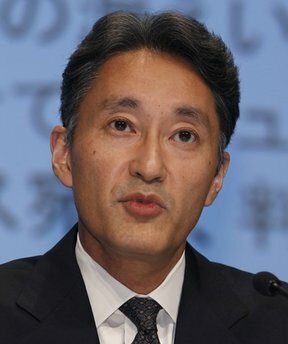 « This criminal act against our network had a significant impact not only on our consumers, but our entire industry, » said Kazuo Hirai, Executive Deputy President, Sony Corporation. « These illegal attacks obviously highlight the widespread problem with cyber-security. We take the security of our consumers’ information very seriously and are committed to helping our consumers protect their personal data. In addition, the organization has worked around the clock to bring these services back online, and are doing so only after we had verified increased levels of security across our networks. Sony’s Kazuo Hirai addresses the media in Tokyo. Sony also said it is working with the FBI criminal investigation to track down who hacked the network. The company reaffirmed it does not believe credit card information was taken, but says customers should keep an eye on their bank statements as a precaution. Of the 77 million registered PSN accounts, roughly 10 million have active credit cards tied to them. One of the major services that won’t be available initially is the PlayStation Store. Sony did not give a timeframe for when it wil be back up, but the company stated that all PlayStation Network services will operational by the end of May.